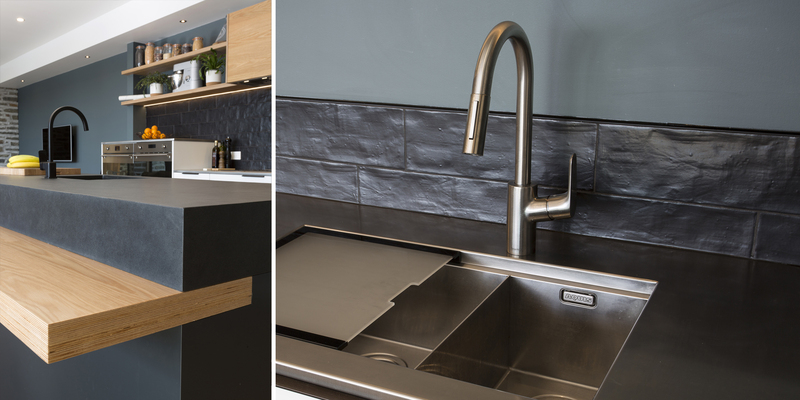 Kitchens By Design | Kitchen Design for Discerning Clients : Waimauku. 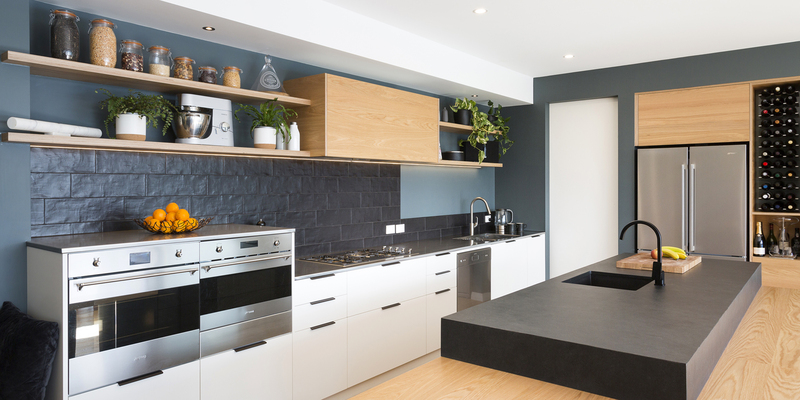 When the owners of this modern kitchen first approached us to design their new space, they talked about having a modern Scandinavian style kitchen. 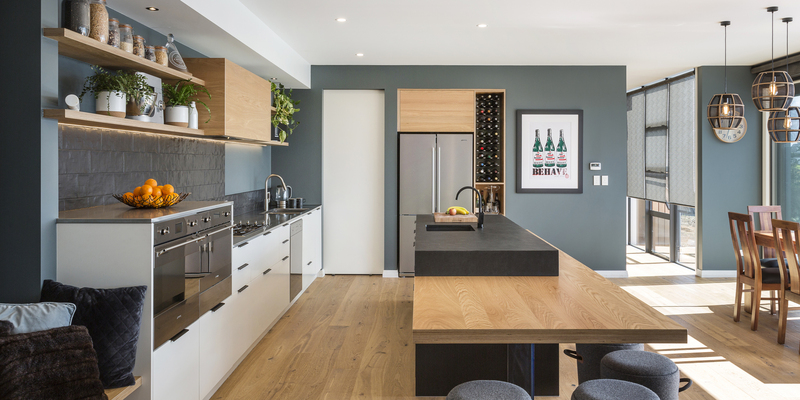 Plywood was used selectively to highlight some of the prominent design features, like the low table slicing into the slate island, the open shelving and extractor housing along the back wall, and the wine rack and storage around the fridge. 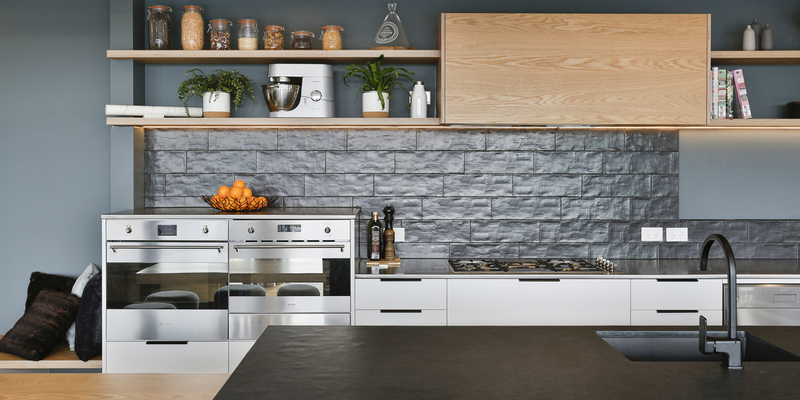 The deep turquoise colour on the walls takes its cue from the slate island, which has mitred edges to make it appear as a solid block. 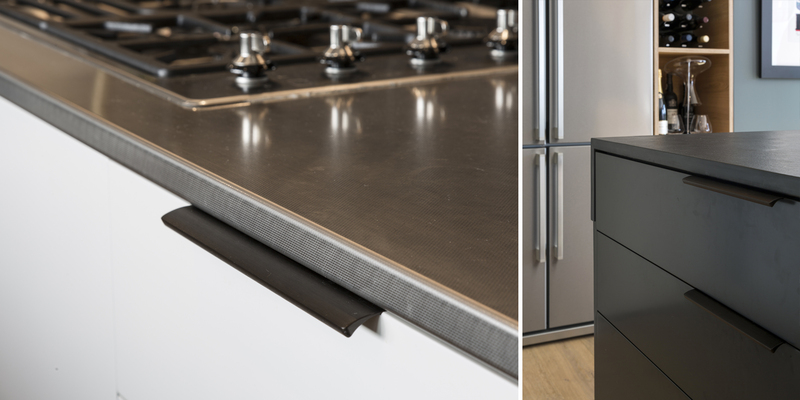 The drawers on the back of the island have been painted in a matching colour, and the tiled splashback that uses uneven tiles gives a worn and broken-in feel. 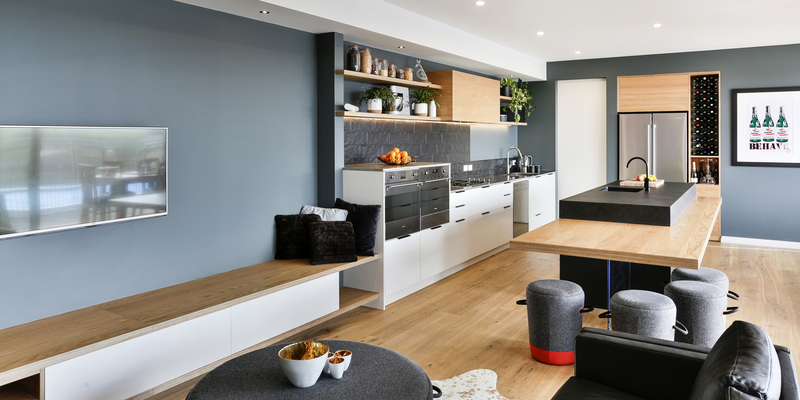 Placing the ovens above the benchtop, at the same height as the preparation surface, positions them at a much more practical level for everyday usage – and by doing so, also creates a usable surface above that acts as a landing space for whatever’s coming out of the ovens. 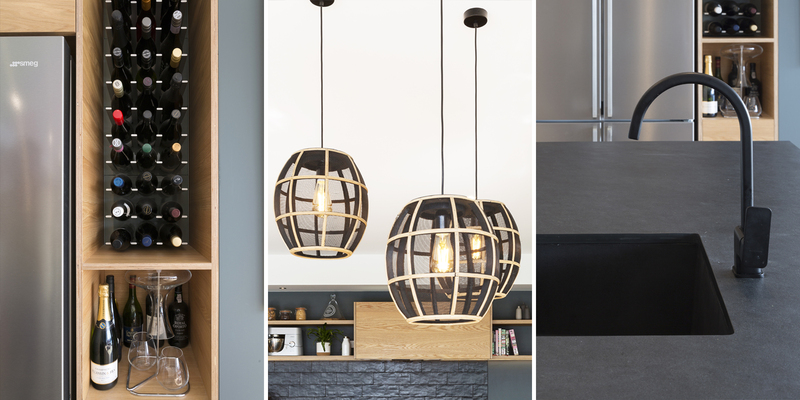 Plywood was used selectively to highlight some of the prominent design features.